Rush hour, central Jerusalem. The light rail car is packed, but I found a seat. To my right, two young people get on the train, a man and woman. “Is this downtown?” the woman asked to no-one in particular. “No. Downtown is that way,” I gesture. She seems surprised to hear someone speak to her in American English. She sits down in the seat in front of me. She has straight brown hair, and looks – well, totally American. Her friend stands next to us. His hair is close cropped, and he sports a light beard. “Where are YOU from?” the woman asks me. “My name is Clara, and that’s Itzik. The truth is, we are living in Romania right now,” Clara offers. “Oh, I get it,” I reply. I turn to Itzik. “You are in medical school, right?” Many Israelis go abroad to study medicine, because medical schools in Israel are very competitive. “Yes, you’re right,” he replies in Hebrew-accented English. “So what are you doing in Israel?” I inquire. “We’ve come to see the sights, and visit Itzik’s family.” Now the picture begins to become clear. “What have you seen so far in Israel?” I ask. “Well, I’m from a Catholic background. It’s been fascinating seeing things that I’ve heard of. Like King Herod, for instance,” explains Clara. I look at Itzik more carefully. It becomes obvious that like many Israelis of his generation, Itzik knows very little about his heritage, his faith – and his calling. I wonder to myself: how does his Israeli Jewish family feel about him bringing home a nice, friendly, Catholic girl from America? The train arrives at my stop. Itzik looks at me, a dim glimmer of understanding in his eyes. He says nothing. It was a short ride, and even a shorter conversation. I didn’t have the time or inclination to explain to Itzik just exactly how complicated the potential decision tree that lay before him might be. And how was I going to explain to him, without sounding racist? What did he know? Why shouldn’t he marry a nice girl like Clara? What’s to stop him? The answer is: nothing. In today’s world, everyone is free to marry whomever they choose. But do you think Itzik knew that unless he and Clara took some drastic steps, their children would not be Jewish? And the question must be asked: so what? 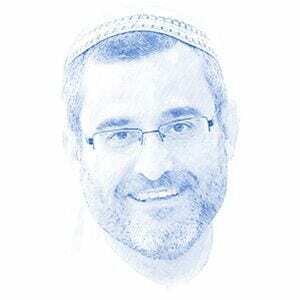 Why is important at all that Itzik continue his ancient tradition of being part of the Jewish People into the next generation? Yes, it does matter. Not because being a Jew and having your kids be Jewish is anything better than anyone else. All human beings are just that: human beings, with no-one intrinsically more important than anyone else. Except that Jews are different. Yes, different from other people. If we have learned anything from our difficult history over the past 3,200 years, it is that we are treated differently from other people, as individuals and collectively, as a nation. This has always been the case. Why? The answer is simple and complicated at the same time. We Jews have a special calling, a role to play in the world that is entirely different from the role of any other nation. The Hebrew Prophet Isaiah, in the Biblical book that bears his name, spells it out clearly. Jews are intended to be a light of the nations. Yes. Somehow, by a quirk of fate or by some other unknown reason, the Nation of Israel is expected by Biblical tradition to shoulder a unique responsibility. In our times, in the 70 years since the creation of the State of Israel, that role earmarked for us from antiquity is heading towards fruition. Israel is fast becoming a technological center, creating solutions for many of the world’s pressing medical, agricultural, energy and environmental problems. Israeli inventions power much of the technical underpinnings of our rapidly interconnecting world. And what’s more – according to the Prophets of the Hebrew Bible, the most widely known book on earth – Israel is slated to help bring peace to the entire world. If the ancient words of the Hebrew Prophets are to be taken seriously, we are only at the beginning. In order for the unfolding cultural and spiritual revolution in Israel to continue, we must maintain our ancient culture and our connection to our faith. This does not mean that others who wish to join our Nation cannot – but intermarriage, without proper conversion, almost guarantees that the special traditions that actualize our very Jewishness will be lost to future generations. As hard as it is to fathom this, the anti-Semites of the world are onto something. They have always sought to single out the Jewish Nation out for ‘special treatment’. Little do they know that their nefarious actions have served a purpose – to prepare and preserve us for that ultimate calling, one that echoes across the centuries and has taken root in the modern State of Israel. Yet in order for us to meet the challenge of our heritage, we must know who we really are, and not disappear among the other nations of the world. 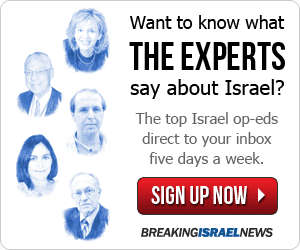 Itzik, I hope you will find this out for yourself. It may be a long journey before you understand what your true calling is. May you have the wisdom and fortune to make the right decisions for your future.